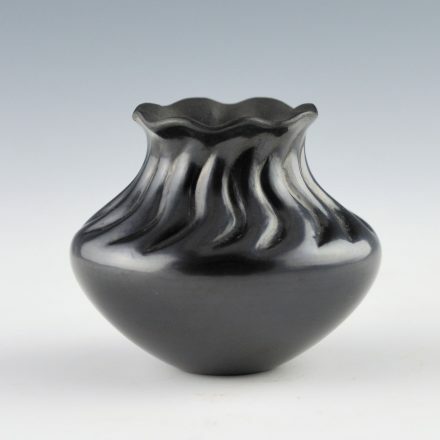 Shirley Tafoya was the youngest daughter of Margaret Tafoya and known for her miniature pottery. This jar is from the late 1990’s. 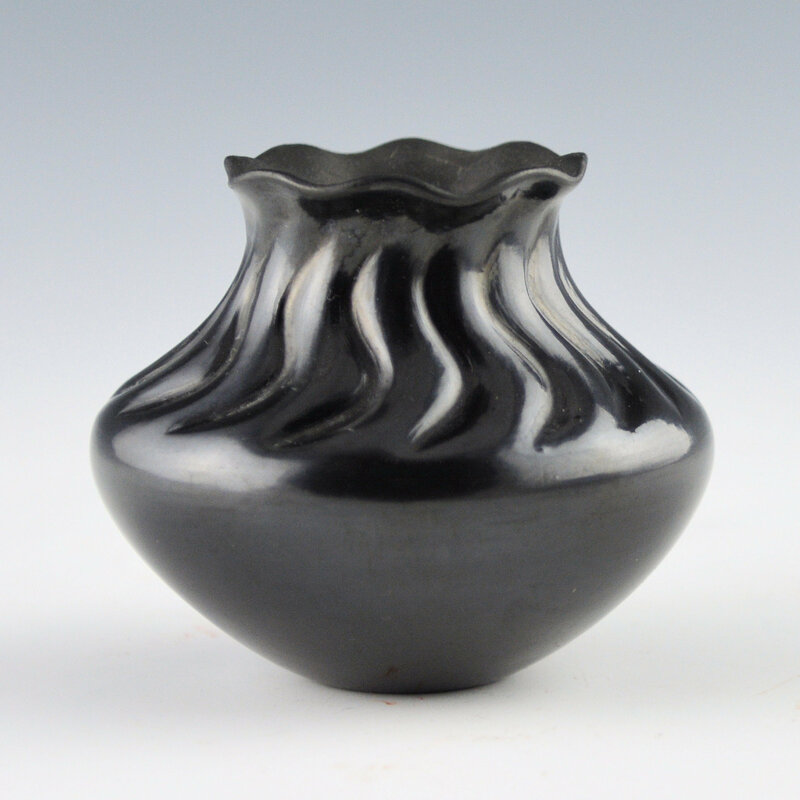 It is a classic Santa Clara water jar shape. 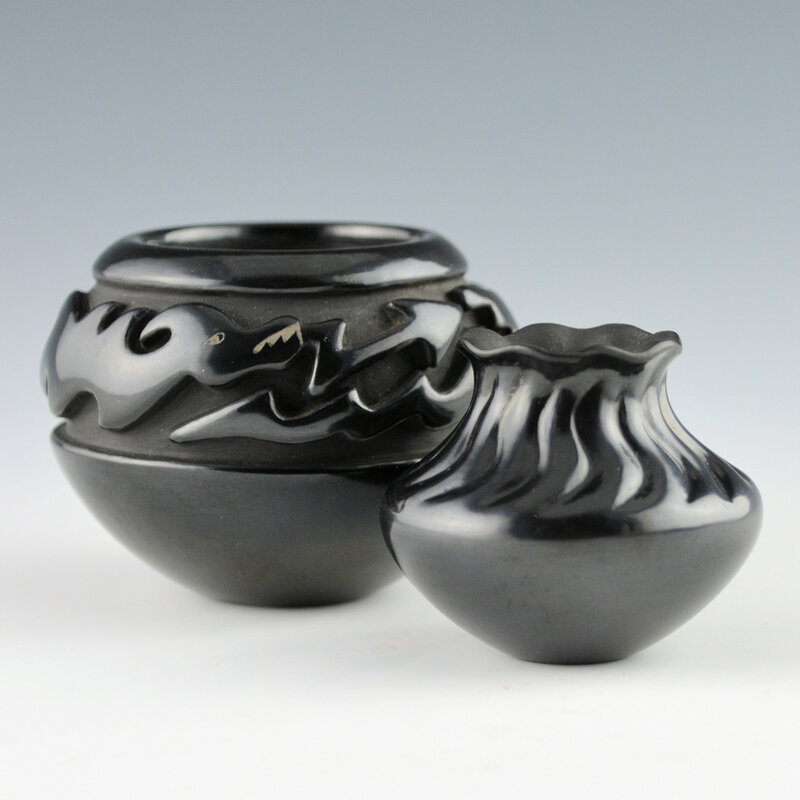 The rim is fluted and the neck is carved with an old-style melon swirl design. Shirley would often use historic pieces as inspiration for her pottery. The jar is in very good condition with no chips, cracks, restoration or repair. It is signed on the bottom in the clay, “Shirley Cactus Blossom Tafoya”. A classic of Tafoya Family pottery!